The Mellon Scholars are undergraduate students with a commitment to pursuing careers in the humanities. This two-year program provides these flourishing scholars with opportunities to conduct original research in their discipline, better preparing them for their future graduate studies. Meet our 2018-2019 Mellon Scholars cohort. Alexis’ flair for words and literature began when she was young and has flourished into a passion. 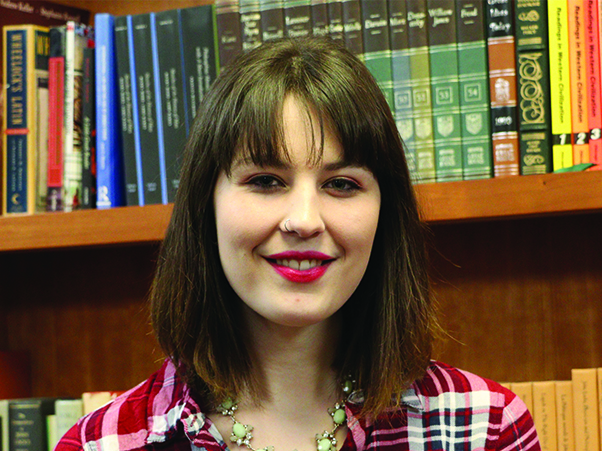 Studying literature for her Bachelor's degree has been exciting and inspiring, influencing her personal writing and connecting all of her outside interests into one medium. Outside of her academic studies, Alexis is a poetry and prose editor at the undergraduate literary magazine Glass Mountain and their online publication Shards. She also has a strong love for music and likes to spend time playing instruments, performing, singing, and songwriting. 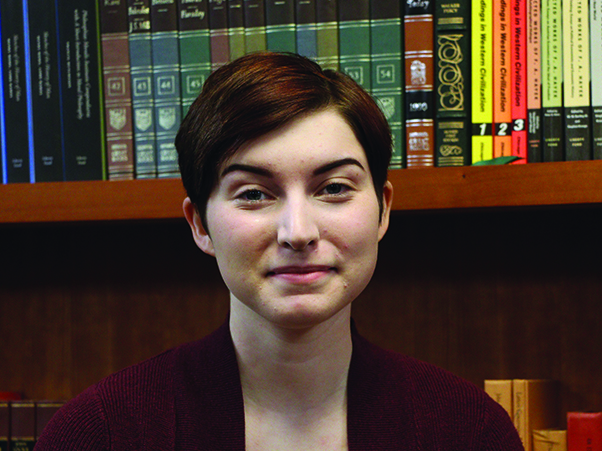 Alexis plans to pursue graduate studies in the hopes of becoming an English professor as well as publishing more of her own creative works to share with the literary community. Laura’s love for literature blossomed in the second grade around the time she immigrated from Ecuador. Upon arriving to the U.S., she did not have access to much at first, but her mother would often take her to the public library in her neighborhood. Laura would spend hours indulging in stories written in her new-found language. She was most infatuated by audio books because through listening she could learn how to pronounce words properly. This is the primary reason why she is now passionate about conducting research on the relationship between language, culture, gender, and how it relates to the overall Hispanic/Latino identity within the U.S.—particularly among migrants. When Laura is not experimenting with poetry, she loves to practice yoga and spend time with her dog, Clutch. Abigale's research focuses on minority literature and poetry—specifically pertaining to the Native American and LTBTQ communities. She feels these genres are of importance because of the lack of representation within the literary canon of American education, from primary through higher education. Abigale is also interested in examining how Native Americans are represented in film, and why. She plans to purse a graduate degree in English literature, and aspires to write her own bodies of work. Abigale writes in both English and Spanish. Mia is interested in conducting research on the work of journalist William Worthy, whose reporting career spanned the course of several foreign revolutions and witnessed the revolutionary changes in policy during the civil rights movement. In the future, Mia is interested in conducting research on post-colonial narratives in literature and through oral histories. 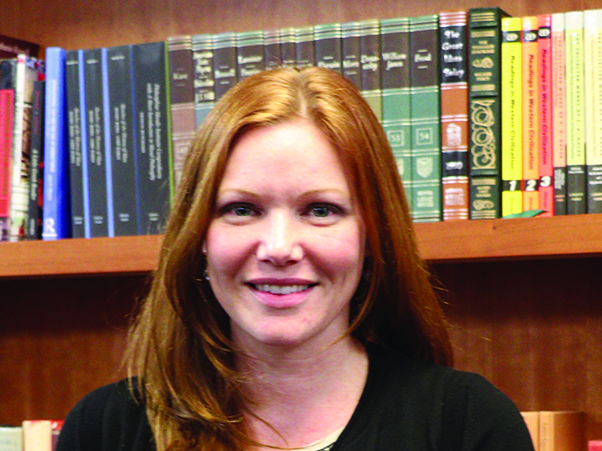 She is interested in examining how global trends influence the lives of characters in novels. She hopes her career will span the fields of journalism, fiction, and television writing. Kelli is currently working on her senior honors thesis which explores the origins of Norman medieval fortifications. She is particularly interested in the cross-cultural exchange of architectural techniques, designs, and cultural uses of western European fortifications before and during the eleventh century. Kelli studies under the guidance of Drs. Sally Vaughn, Nora Laos, and Catherine Patterson. At the University of Houston, she is pursing a degree in history with a minor in architecture. She is also a teaching assistant in the Gerald D. Hines College of Architecture. 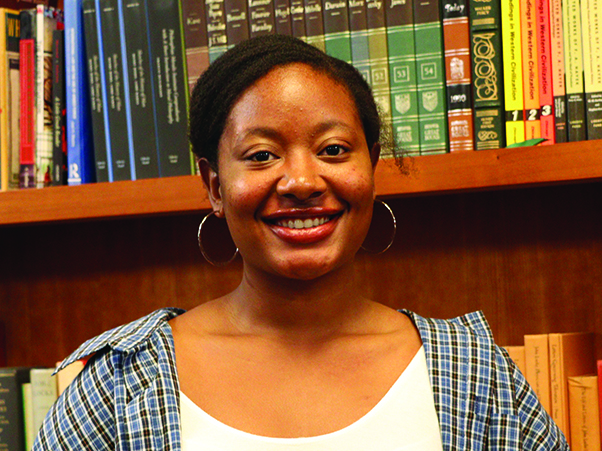 Upon graduation, Kelli intends to continue her research while working towards a PhD. George is enthusiastic about history. For it is through history, he believes, that we can better understand the political, economic, and social implications of our time. His research interest is in imperial powers. George is currently studying the Roman and Japanese empires. Following the Meiji Restoration in the mid 19th Century, Japan was transformed from a feudal society into formidable military power. It was under these conditions that Japan, for the first time in history, was able to colonize in other parts of Asia. Working with Dr. Kristina Neumann, George will examine the factors that led to the overwhelming success of both Rome and Japan in building and maintaining their empires. An aspiring academic, George plans to pursue a Ph.D. in history upon graduating from the University of Houston. 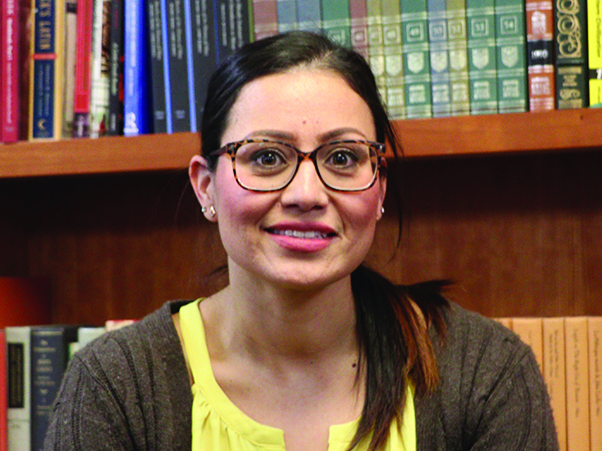 Spanish Literature has been an intricate part of Mireya’s life since before she could read. Much of what she was exposed to as a child entailed a general theme of history, and this allowed her to understand that literature should not be written or read in a vacuum. Mireya’s upbringing inspired her decision to major in History and Spanish at the University of Houston. 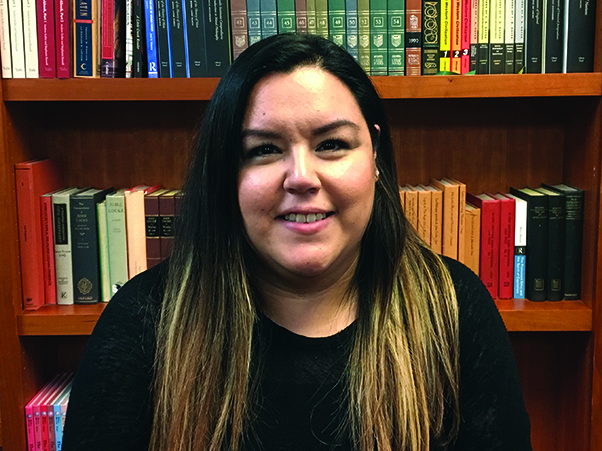 Mireya is a member of Phi Theta Kappa Honor Society, and plans to pursue a Ph.D. in Spanish upon receiving her bachelor’s degree. Within the next decade, she hopes to be a Spanish professor and an ambassador for Hispanic culture. 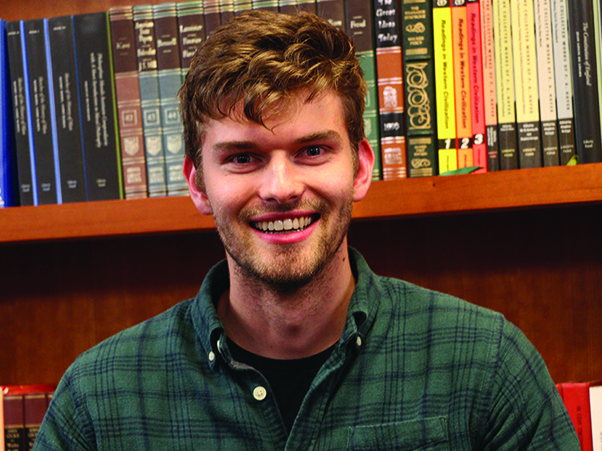 Tim is currently working on his honors thesis, which examines whether or not the Karankawa, a local Native American indigenous group, practiced anthropophagy--the eating of human flesh by humans. His research aims to deconstruct the question of whether or not the Karankawa were in fact cannibals and explore how Spanish myths influenced the extermination of a people. Upon completing this project, and graduating from the University of Houston, he will pursue a Ph.D. in History. A life-time resident of the Texas Gulf Coast, Tim hopes to stay in the Houston area and continue his studies in the field of Native American History. 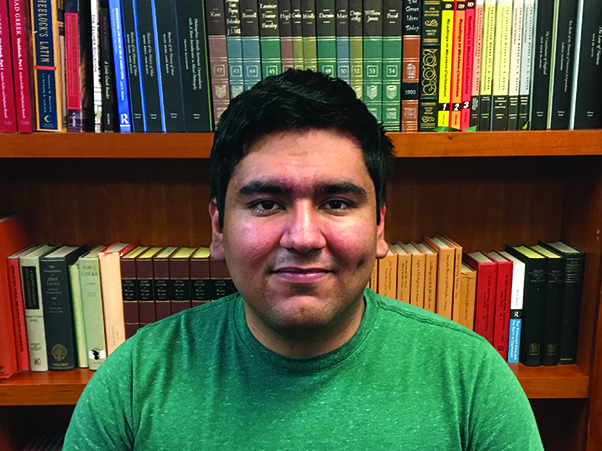 Gabriel arrived at UH as a chemistry major. However, after a few weeks of classes he realized it was not for him. He soon switched to history, political science, and Phronesis, and is very glad he did. Although he enjoys empirical studies in politics, the bulk of his interest is in political theory. 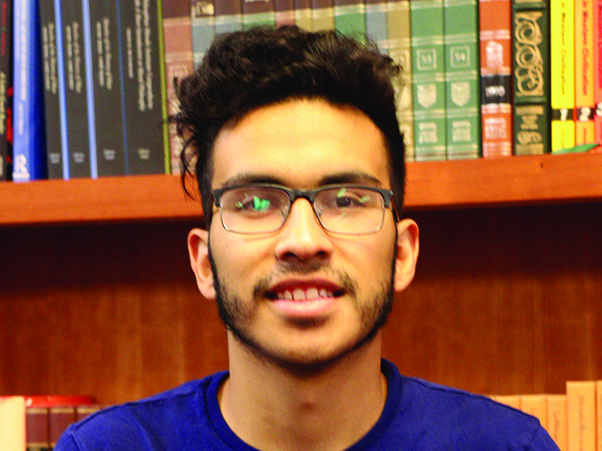 Gabriel is currently working with Dr. Hallmark to narrow his research focus within political theory, and is looking forward to conducting research. To say he is excited is an understatement. In addition to his academic life, Gabriel is the president of the UH Democrats and is an active volunteer on political campaigns. Livia has a deep appreciation for an education that engages with various disciplines to produce a unique, collaborative learning experience. 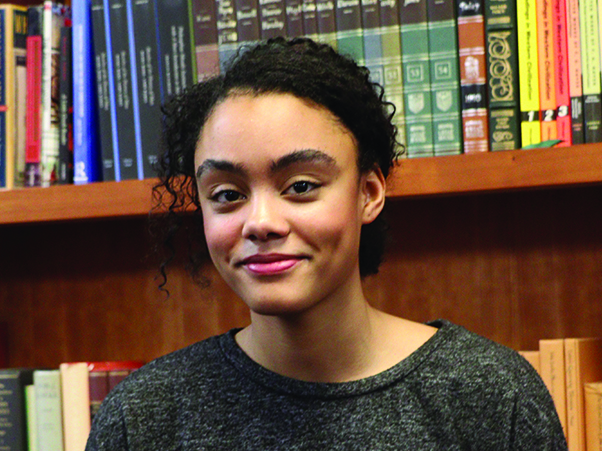 Through her liberal studies major, she has been able to create such an experience by creating connections between the fields of economics, history, and women's studies. 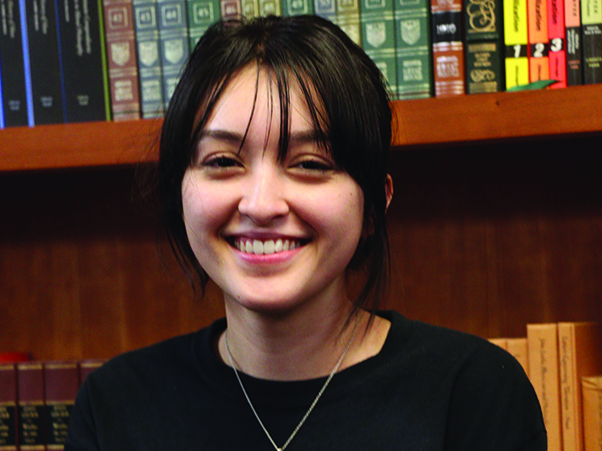 Additionally, co-curricular activities, such as volunteering at the Houston Metropolitan Research Center and working at UHSpecial Collections have not only enriched her education but also fostered a love for archives and preservation. She plans to continue exploring this interest through either an MA in Public History or an MSIS in Library and Information Science. Regardless of the route, her end goal is to not only preserve community history but to also make historical resources as accessible to the public as possible. Ever since she was a young girl, Yazia has valued the importance of language. The power of the written word, as well as the importance of accurately spoken speech, has become a fascination for Yazia. As a result, she plans to pursue and learn more about this topic through conducting research with Dr. Goodin-Mayeda. Currently, she is majoring in Liberal Studies with concentrations in Spanish, English, and education at the University of Houston, which allows her to best explore and expand on these interests. Outside of the classroom, she enjoys spending time teaching English to non-native speakers, as well as mentoring children at a local academy. 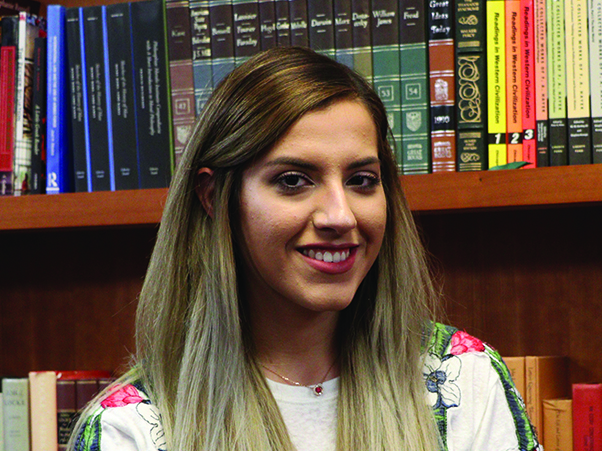 Following graduation, Yazia plans to pursue a Ph.D. in linguistics, and eventually become a professor as well as actively pursue research in language acquisition, phonetics, and semantics. Abdul enjoys ethical philosophy, but more specifically, moral psychology—the branch of philosophy that studies people’s psychological relationship to ethics. The highly acclaimed 20th century philosopher Bernard Williams once wrote that ethics was boring. Ethics, the thought was, either gives us boring self-evident rules of conduct, or impossibly high standards that do not directly impact lives. Abdul believes moral psychology remedies this lacuna by analyzing the way in which psychology relates to ethics. 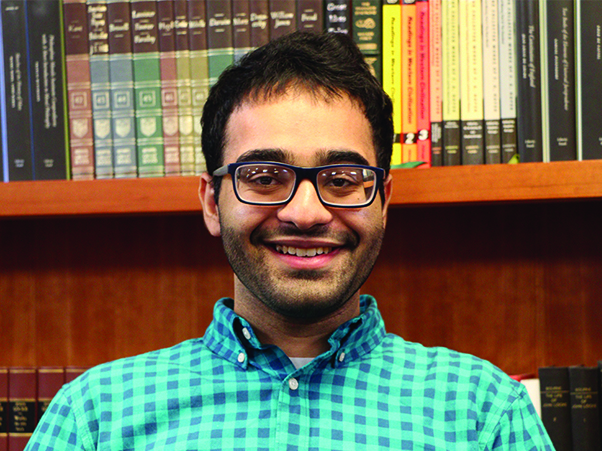 Abdul hopes to continue studying ethics in graduate school, eventually obtaining a Ph.D. in philosophy. His ultimate aim is to become a professor of philosophy. Phillip has always held a strong, personal sense of morality and social justice. Through the course of his studies he has acquired the language and tools to refine his own moral intuitions and shape them into normative claims about the world. Phillip has taken a particular interest in pursuing ethics and feminist philosophy as methods of interrogating social and political institutions that perpetuate injustice. In his ongoing research, he plans to examine masculinities and the ways in which performances of hegemonic masculinity subordinate emotional labor. Phillip is particularly interested in exploring ethics of care and their intersections with masculinity, mental healthcare, militarism, and self-care. 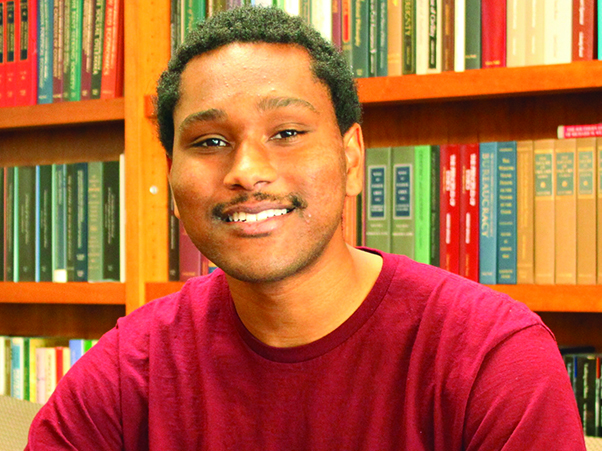 He hopes to continue his research in graduate school by pursuing a Ph.D. in Philosophy, and eventually enter academia. 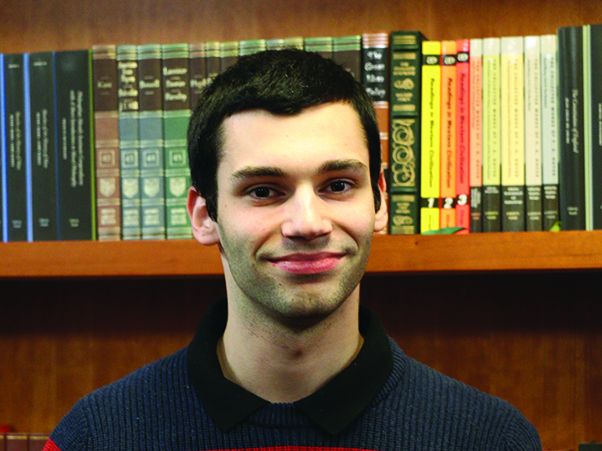 Phillip aspires to understand the prudent and imprudent ways for individuals to act in the political sphere. He also values the wisdom brought by the experiences of those who came before us, as it is through understanding the past that we can come to understand how we ought to act in the present. With these ideas in mind, under the direction of Dr. Dustin Gish, Phillip intends to study the way in which political leaders in the Ancient world applied the wisdom of their ancestors, focusing on how Cicero applied Platonic and Aristotelian political thought to his consulship during the Catiline Conspiracy. Gricelda an abiding interest in human behavior and motivation. She strongly believes in the ability to transcend oneself, especially as it relates to trauma and grief, which is why she has chosen to work with Dr. Christian Eberhart, Director of Religious Studies. She also enjoys learning about spirituality and the commonalities of world religions. Since she is passionate about personal growth and transformation, she chose to double major in psychology and religious studies, with a minor in Spanish. After completing her undergraduate degree at the University of Houston, she plans to attend graduate school and obtain a Ph.D. in Transpersonal Psychology. 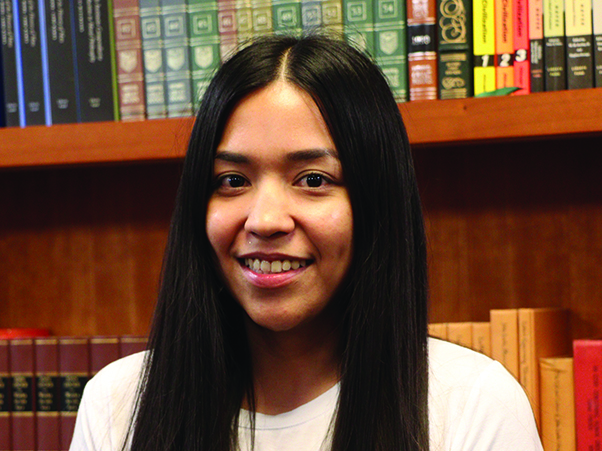 Yesenia has always had an interest in the Spanish language, literature, and politics. For this reason, she decided to double major in Spanish and political science at the University of Houston. She also loves traveling, and travel chronicles are ideal for using both literary tools and political sociocultural context. After graduation, she hopes to be accepted into the Fulbright ETA program to teach abroad for a year, and then pursue a Master’s degree in Spanish. 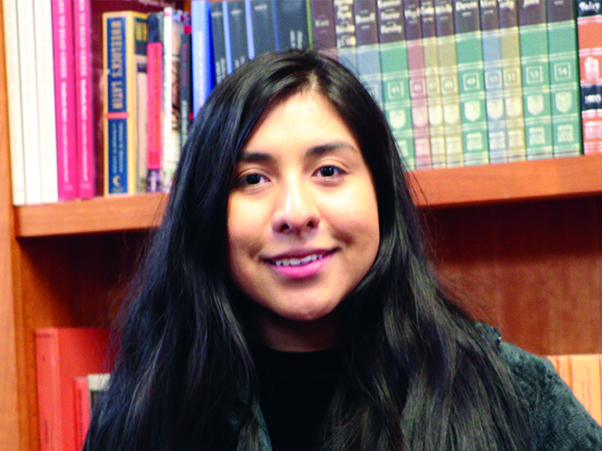 In 10 years, Yesenia’s goal is to be a Spanish professor and a contemporary political writer. In a world that is becoming increasingly globalized, Elmer understands that reality is based on people's perspectives. Knowing that, he wants to immerse himself in research that will better help him understand what it means to see reality from different perspectives. His current research focuses on German intellectuals and their forced exile to Mexico during the Third Reich. Working with Dr. Anadeli Bencomo, they will analyze the works of German writer and journalist Egon Kisch. 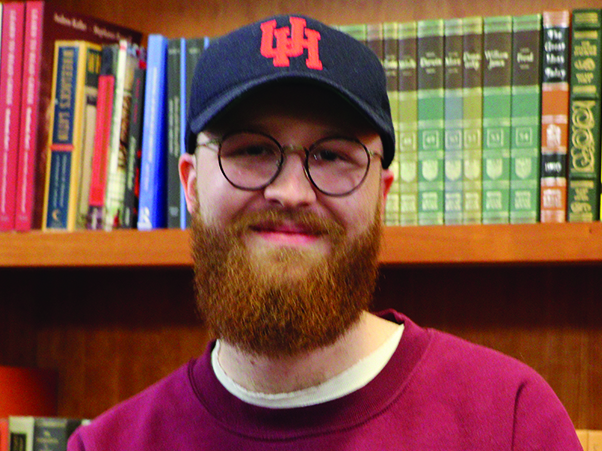 Upon graduating from the University of Houston, Elmer plans to pursue graduate studies, preferably in Germany so that he can master the language and immerse himself in the culture.